We manufacture Ashish Air Pre Filter that is constructed using non-woven synthetics in multiple layers in combination with metallic meshes and HDPE material. Housed inside a structure fabricated from galvanized sheet or aluminum or SS, these are known for offering efficient performance. 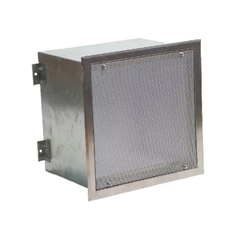 We offer Ashish air microves HEPA Filter that is manufactured using multiple layers of various materials like glass, fiber, paper, non-synthetics, felts and other media as per application. Housed inside a structure that can be made from either galvanized sheet or aluminum or SS material, these filters are highly demanded by clients all over the world. 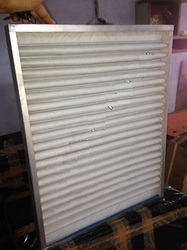 HEPA Filter, Box Type Filter is also known as HVAC Filters, Pre Filter, HEPA Filters, Filters. 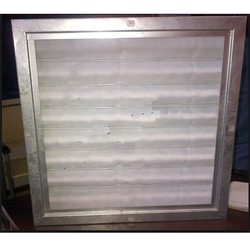 We offer Ashish air makers Box Type Filter that is manufactured using multiple layers of various materials. Housed inside a structure that can be made from either galvanized sheet or aluminum or SS material, these filters are highly demanded by clients.